With a stay at NH City Centre Amsterdam, you'll be centrally located in Amsterdam, steps from Begijnhof and English Reformed Church. 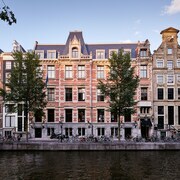 This 4-star hotel is within close proximity of Spui and Amsterdam Museum. 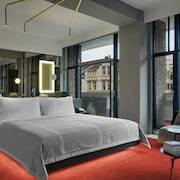 Make yourself at home in one of the 213 guestrooms featuring minibars and flat-screen televisions. Complimentary wireless Internet access keeps you connected, and cable programming is available for your entertainment. Private bathrooms with bathtubs or showers feature complimentary toiletries and hair dryers. Conveniences include phones, as well as safes and coffee/tea makers.